Join us as we celebrate over 70 years of Israeli Art Song in a series of two music lectures that culminate in a special concert. 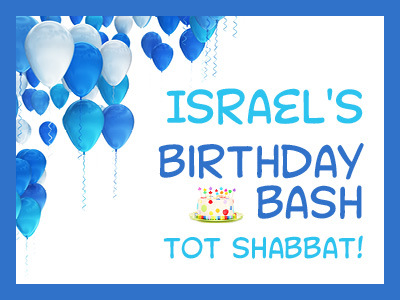 Celebrate Israel at this special Tot Shabbat! 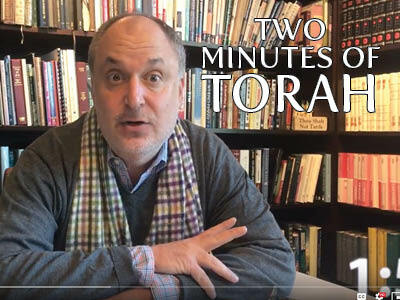 Check out Rabbi Steve's two minute take on the weekly parasha. 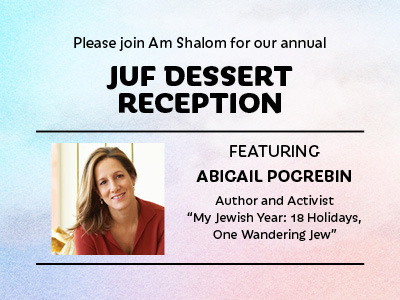 We're thrilled to welcome author and activist Abigail Pogrebin on April 29. Worship with us via live stream. 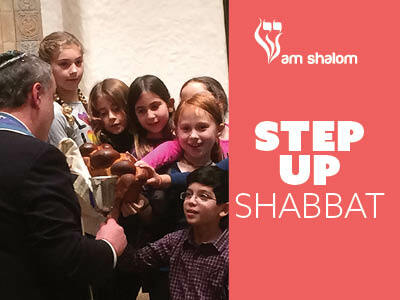 We are pleased to live stream Shabbat services every Friday at 6:30pm, as well as holidays and other special programs. 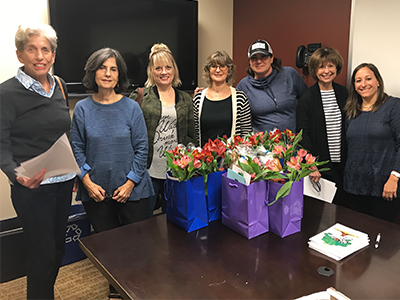 Am Shalom began when a small group of passionate people gathered in a living room to lay out their hopes and dreams for a new congregation: a welcoming home, a place that responds to people’s needs, and a community that embodies the command of God to Abraham: be thou a blessing. Our congregation has grown, but these core values remain the same today.